Patrick Horgan and his Glen Rovers teammates can get set for a county final. 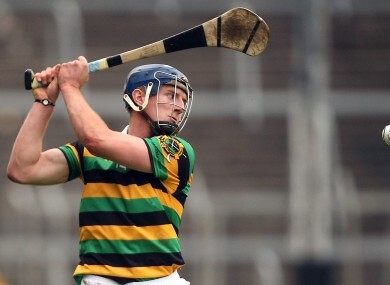 PATRICK HORGAN SCORED 10 points as Glen Rovers reached the Cork SHC final for the second year in a row with victory over Midleton at Páirc Uí Rinn today. Despite falling behind to a Cormac Walsh goal inside the first minute, the city side responded well to lead by 0-8 to 1-3 at half-time and stood firm as Midleton threw everything at them in the closing stages. Walsh’s goal looked to have got the 2013 champions off to a great start but, though they led by 1-3 to 0-3 after Séamus O’Farrell’s point in the 10th minute, they wouldn’t score again in the first half. With Horgan impeccable from placed balls and Donal Cronin and Dave Noonan linking well at midfield, the Glen were on son and should have led by more than two points at half-time but for some poor shooting coming up to the break. While points from Paul Haughney and Brian Hartnett brought Midleton to within a point early in the second half, the Glen pulled clear again though Dean Brosnan, Horgan (two), excellent centre-back Brian Moylan and Conor DOrris. The lead was 0-16 to 1-8 when Noonan was sent off for a second yellow card in the 52nd minute and Midleton had points from Luke O’Farrell and two by Walsh to come to within two again. Horgan’s 65 gave the Glen a first point in 10 minutes, however, and after Haughney shot over with a goal attempt, Dorris secured the win. Scorers for Glen Rovers: Patrick Horgan 0-10 (0-4 frees, 0-4 65), Conor Dorris 0-3, Dave Noonan 0-2, Brian Moylan, Dean Brosnan, Bavid Busteed 0-1 each. Scorers for Midleton: Cormac Walsh 1-6 (0-4 frees), Paul Haughney 0-3, Séamus O’Farrell, Brian Hartnett, Luke O’Farrell 0-1 each. Email “Horgan shoots Glen Rovers into Cork senior hurling final with win over Midleton”. Feedback on “Horgan shoots Glen Rovers into Cork senior hurling final with win over Midleton”.